Welcome to the Imperial Palace! Discover a unique panorama of 400 art works and objects most of which have never been shown in North America and get a new perspective on this historical figure. Organized and circulated by the MMFA, with the participation of Château de Fontainebleau and the exceptional support from the Mobilier national de France, this exhibition recreates the sumptuous ambience of Napoleon’s court from his coronation in 1804 to his exile in 1815. The exhibition brings together over 400 art works and objects, most of which have never been shown in North America. They are featured here thanks to some 50 distinguished lenders, including such institutions as the Louvre, the Château de Fontainebleau, the Mobilier national de France, the Musée national des châteaux de Malmaison et de Bois-Préau, the Metropolitan Museum of Art, the J. Paul Getty Museum, the Museum of Fine Arts, Houston, and the Art Institute of Chicago. You are invited to visit the six departments that made up the “Imperial Household”. 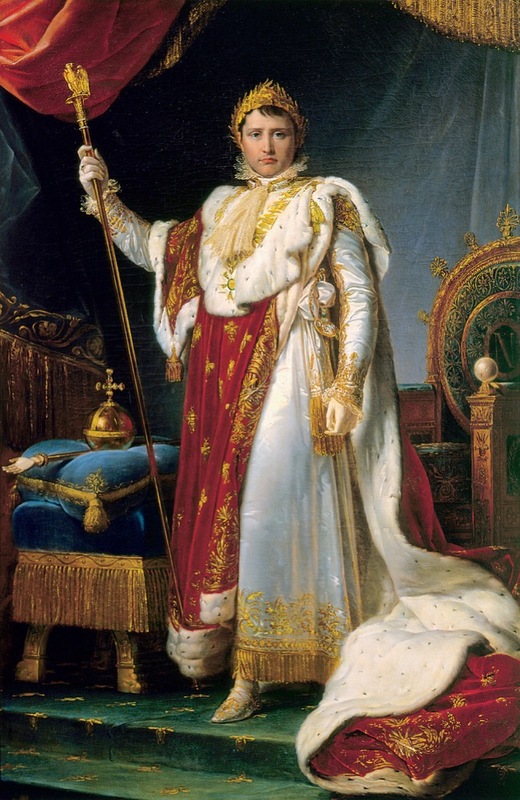 The institution, with its 3,500 employees, was responsible for the daily lives and ceremonies of Napoleon and his family, and crafted his image as Emperor and as a “modern hero.” Its team of dignitaries, officers and artists in his service had a mission: to establish the decorum of a regime that would assert the legitimacy of the Bonaparte dynasty at the head of France, just a few years after the Revolution and the abolition of the Bourbon kings. An innovative layout re-creates the splendour of the apartments by incorporating mapping projections. LOUIS-JOSEPH-FERDINAND HÉROLD, Paris 1791 – Neuilly-sur-Seine 1833, First movement (Largo-allegro molto) from Symphony No. 2 in D major (1814), Les Agrémens, Guy van Maas, conductor Ricercar, 7 min, Courtesy of Naxos of America, Inc. The exhibition’s opening section associates the history of the regime with the commissions given to the artists: what was the role of the Imperial Household in shaping the image of Napoleon as monarch, the former revolutionary transformed into Emperor? A series of portraits and historical scenes reveals how artists like Gérard, Gros and Appiani accepted specific constraints from the Imperial Palace to create visual propaganda to glorify the head of state. The codes of Republican representation gave way to a return to models intended for past kings, while the influence of the ancients invoked the memory of the Roman Empire. 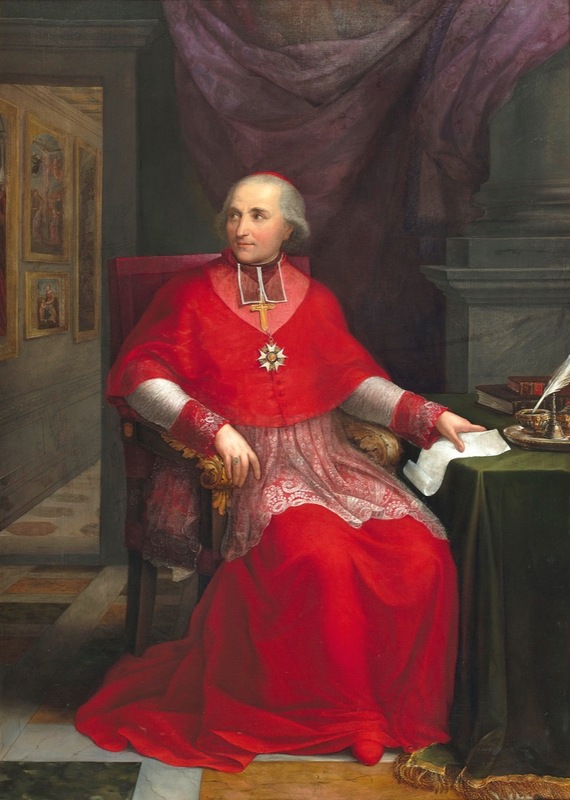 Cardinal Joseph Fesch, to the position. 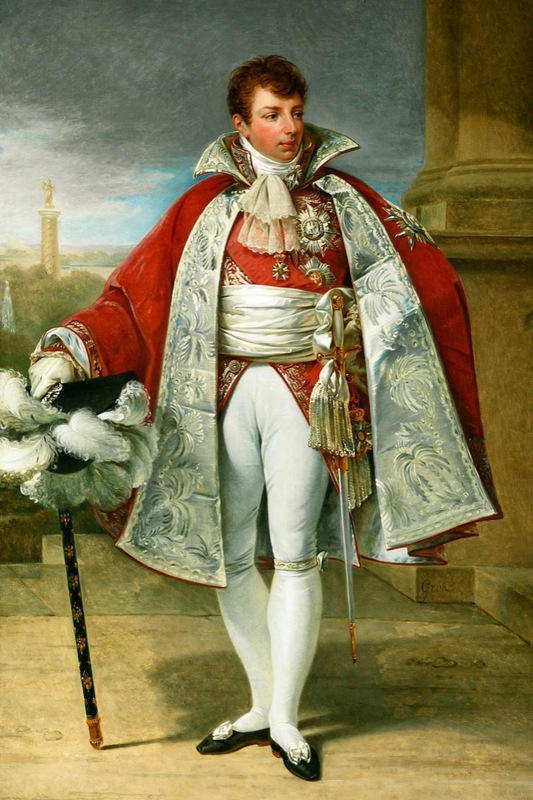 As specified in the Étiquette du palais impérial, he presided over religious services within the Imperial palace and administered the sacraments of the Church to the members of the Imperial Family. 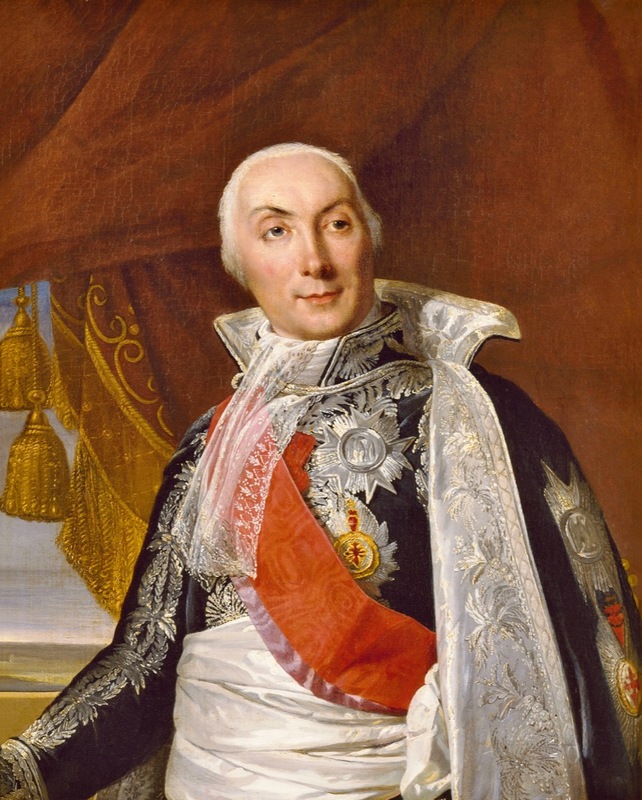 In this role, he officiated the marriages of the family, notably the spectacular wedding of Napoleon and Archduchess Marie-Louise on April 2, 1810. This ceremony, the pinnacle of Imperial magnificence, is revisited in the exhibition with the exceptional loan of the monumental altar set created for the occasion by goldsmith Henri Auguste, on view for the first time outside France. Of the six Grand Officers of the Imperial Palace, the Grand Marshal undeniably had the most influential position. He was responsible for the upkeep of the Emperor’s many palaces, allocation of apartments, decisions about furnishings, security, as well as the department of the Table, food procurement and organization of both state banquets and the Imperial Family’s daily meals. Napoleon assigned this responsibility to one of his closest collaborators, General Géraud-Christophe-Michel Duroc, Duc de Frioul. This section recreates the splendour of an Imperial banquet table, adorned with utensils created by goldsmiths in the service of the Imperial Family, such as Auguste, Biennais and Odiot, as well as the Sèvres Porcelain Manufactory. A lovely selection of silk murals and Gobelins tapestries intended as hangings in official apartments, on special loan from the Mobilier national de France, represents the lavish commissions for decorations and furnishings of the palaces of Tuileries, Fontainebleau and Versailles. The extraordinary Sèvres porcelain table, from a private American collection, depicts the main Imperial palaces. Visitors are invited into the throne room, reproduced here with chairs and tapestries on loan from the Mobilier national de France. 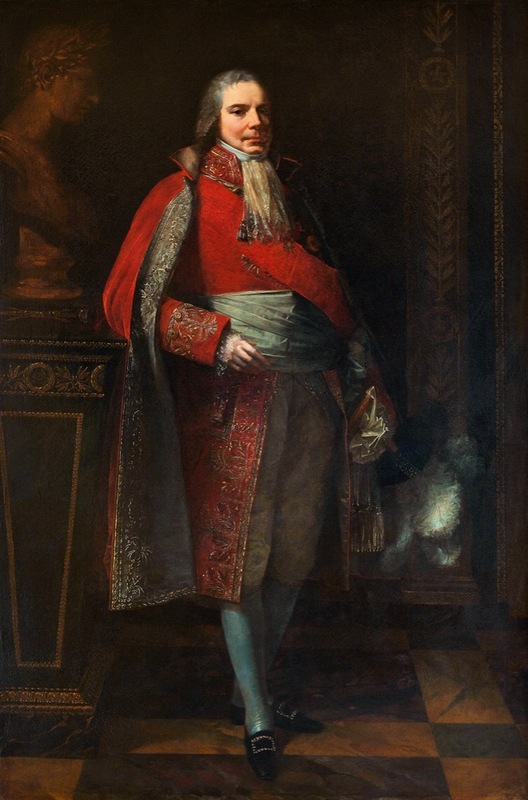 The Grand Master of Ceremonies, Comte Louis-Philippe de Ségur, was responsible for ceremonial events and for the respect of Étiquette. 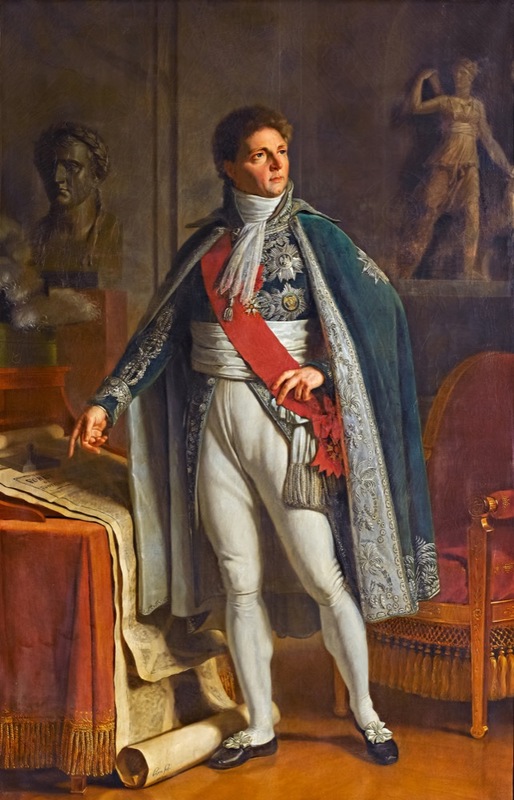 He worked with painter Jean-Baptiste Isabey, as well as a protocol coach and historians, to prepare the spectacle of power within the state apartments. His department established protocol for major ceremonies such as the coronation (1804), marriages of the princes and receptions for heads of state. 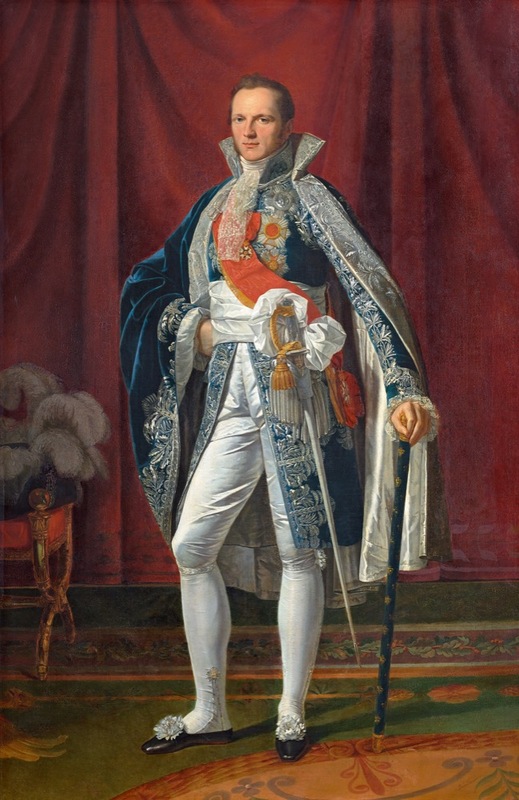 The position of Grand Chamberlain, who managed the Emperor’s chambers, was held first by Charles-Maurice de Talleyrand-Périgord, followed by Count Anne-Élisabeth-Pierre de Montesquiou-Fezensac. This department was responsible for organizing audiences and controlling access to parts of the palace. It also ensured that the Emperor’s daily activities – from his wardrobe to his personal office and library – ran smoothly. The chamberlains kept public access to the Emperor and his private quarters to a minimum. The exhibition evokes Napoleon’s private apartments, thanks notably to the exceptional loan of the immense painting by Jean-Auguste-Dominique Ingres, The Dream of Ossian, a renowned Neoclassical masterpiece first commissioned to decorate the ceiling of the Emperor’s bedroom in the Monte Cavallo palace in Rome, second capital of the Empire. Another of the Grand Chamberlain’s responsibilities was commissioning gifts to be given by the Imperial couple. A selection of Sèvres porcelain pieces illustrates this use of gifts by the Imperial Household and the sovereign’s munificence. The lady of honour to the Empress, assisted by the ladies-in-waiting, performed the same duties as the Emperor’s Grand Chamberlain. 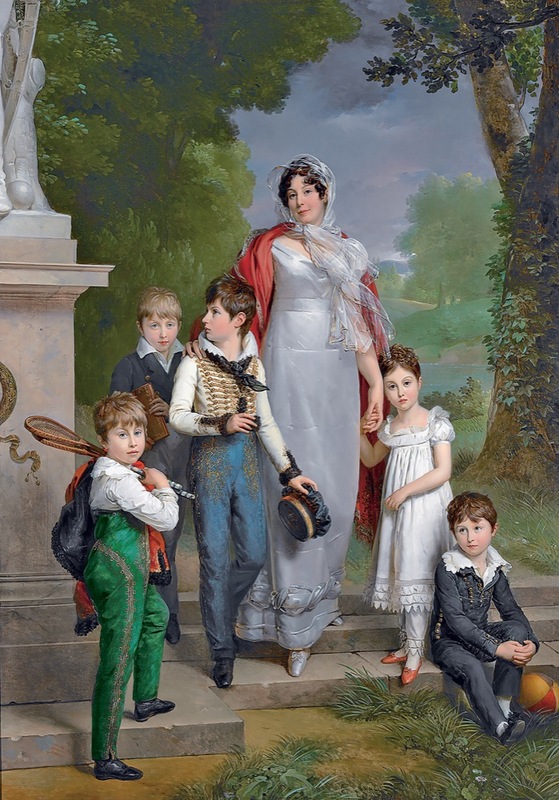 This very important role is depicted in a marvellous portrait (from Houston) of the Duchess of Montebello, who served as lady of honour to Empress Marie-Louise, surrounded by her children. 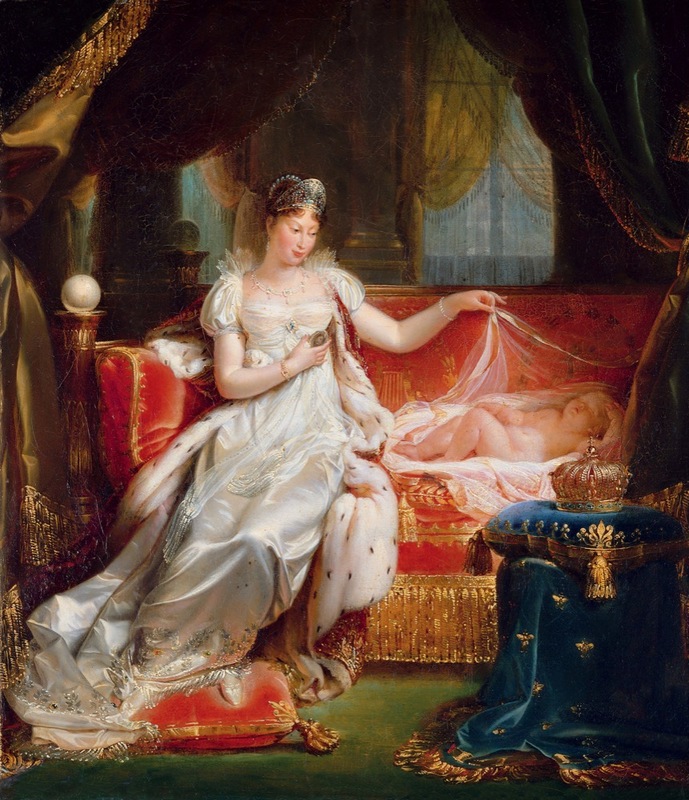 Although the duchess did not appreciate Napoleon, holding him responsible for the death of her husband, Marshal Lannes, she nevertheless became a close friend of the Empress. The Grand Equerry oversaw transportation for the Imperial Palace and supervised the pages. These teenage boys from the most influential families of the Empire came to the palace to be schooled in the ways of the court and placed in the service of the Imperial family. An outstanding posthumous portrait of a former page, Lieutenant Legrand, by Antoine-Jean Gros, on loan from the Los Angeles County Museum of Art, illustrates the experience of these young boys raised in the court before joining the ranks of the Grande Armée. A pitiful hunter – he blinded one of his marshals on a hunt – Napoleon was nevertheless aware of the importance of the spectacle of hunting to evoke the majestic lifestyle of the sovereigns of the Ancien Régime. Named Master of the Hunt, Marshal Berthier organized this regal pastime. The exhibition concludes with a look at the Imperial Household during Napoleon’s two exiles after his fall in 1814. What became of it in hard times? On the Island of Elba, Napoleon still held his title as Emperor, but reigned as a humiliated monarch in a tiny territory with no resources. Then, on Saint Helena, after the defeat at Waterloo following his brief return to power during the Hundred Days, his Imperial title was denied by the British government. Maintaining some form of pageantry around him became a strategic game in the balance of power with his jailers. This final cocoon encouraged the myth of the last “faithful servants,” which would be espoused by the nostalgic in the nineteenth century: a dignified and modest court maintaining its pride in the face of humiliation by the British authorities. And so grew the Napoleonic legend, that of martyr hero, as noble in exile as he was great in victory. Rare prints from McGill University illustrate both the origins of the Romantic legend and the line taken by opponents. 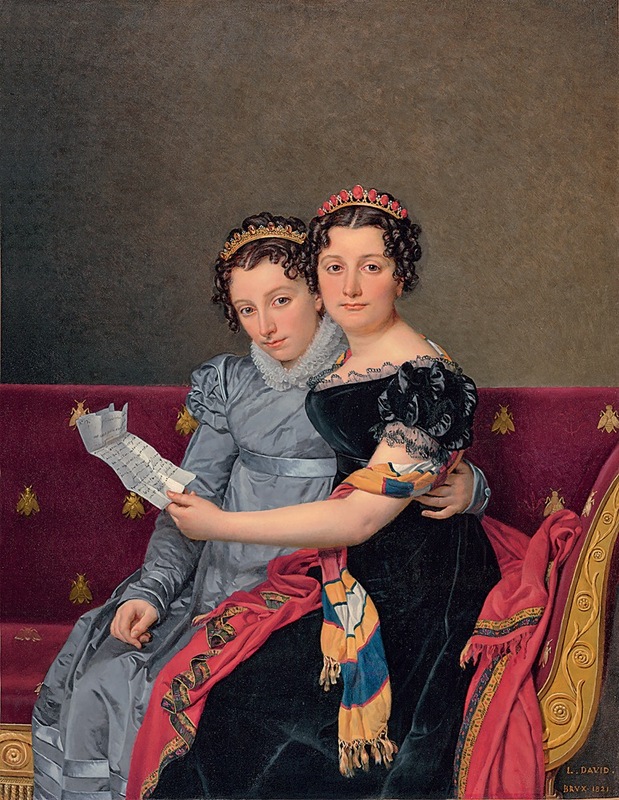 The portrait of Zénaïde and Charlotte Bonaparte by the celebrated painter David shows two young nieces of the Emperor, compelled to flee France with the Imperial family, reduced to wishful thinking that they were still princesses. Napoleon’s spectacular aviary at Saint Helena shows the lifestyle of an Emperor in his final exile. This impressive cage, made by Chinese workers living on the island, is as much a symbol of a great man’s captivity as an example of his last whims in decorating his final “palace”: the most paradoxical, but also the one in which he would live the longest, the gloomy Longwood house. 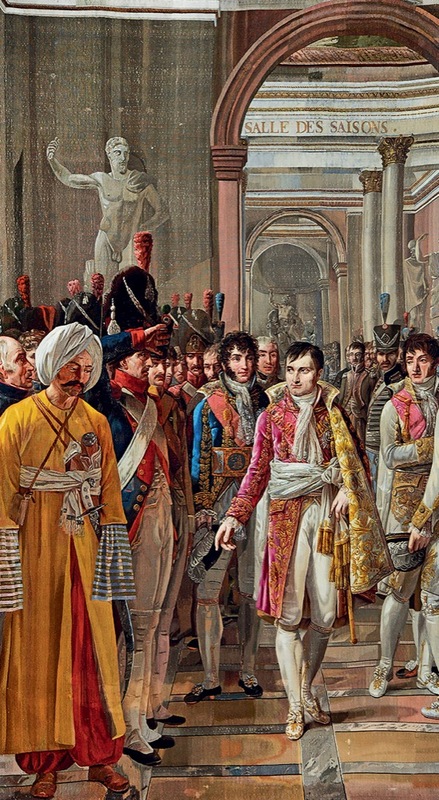 Consult our cultural calendar to learn more about the lectures, films and musical activities presented by the Arte Musica Foundation in connection with the exhibition Napoleon: Art and Court Life in the Imperial Palace. Produced in collaboration with artist Laurent Craste, this 70 m2 area explores the theme of the power of image and the depiction of ego. In the gallery of mirrors, visitors come face to face with their own image, at times multiplied or distorted by numerous reflective surfaces in different sizes. Then there is the throne room, complete with a larger-than-life throne, designed especially for the occasion. This temple to glorification is surrounded by various drawing benches for self-portraits, created entirely in the style of the time. The exhibition is accompanied by a 352-page catalogue, published in English and French by the MMFA’s Publishing Department, in collaboration with Les éditions Hazan, Paris, under the editorship of Sylvain Cordier. The graphic design is by Paprika (Montreal). A new experience in audioguide listening! Take a journey to the past accompanied by a contemporary journalist who’ll interview certain staff and colleagues of this historical giant. It’s a virtual behind-the-scenes look while listening to people who worked in the household. All taken from true to life memoirs and biographies these individuals wrote after the end of the first French empire. Not to miss! Napoleon: Art and Court Life in the Imperial Palace is organized and circulated by the Montreal Museum of Fine Arts, with the participation of Château de Fontainebleau and the exceptional support of Mobilier national de France. The exhibition’s curator is Sylvain Cordier, Curator of Early Decorative Arts, under the direction of Nathalie Bondil. The exhibition layout is designed in collaboration with Architem and Graphics eMotion, under the direction of Sandra Gagné. This exhibition was made possible thanks to the generous support of the National Bank, in collaboration with Metro, Tourisme Montréal, Graphics eMotion and Mosaïque Surface. The Museum acknowledges the vital contribution of Air Canada, the Angel Circle of the MMFA and its media partners: Bell, La Presse + and the Montreal Gazette. The educational area of this exhibition was designed in collaboration with the artist Laurent Craste and benefited from the valuable patronage of France and Raymond Royer in memory of Pierre Denis. The Museum extends its thanks to Quebec’s Ministère de la Culture et des Communications and the Conseil des arts de Montréal for their ongoing support. We would also like to extend our gratitude to all those who, through their generous assistance, encouragement and support, made this exhibition and its scholarly publication possible. An exhibition organized and circulated by the Montreal Museum of Fine Arts, with the participation of the Château de Fontainebleau and exceptional support from the Mobilier national de France. The Museum extends its thanks to Quebec’s Ministère de la Culture et des Communications and the Conseil des arts de Montréal for their ongoing support. The Museum’s International Exhibition Programme receives financial support from the Exhibition Fund of the Montreal Museum of Fine Arts Foundation and the Paul G. Desmarais Fund.